The law of the land* is that if you employ more than four persons, or if you need a licence to do what you do in your premises, you need a written Fire Risk Assessment. That’s what we do, Fire Risk Assessments. You should worry if you haven’t made sure you’ve put all reasonable fire precautions in place; the courts come down like the proverbial “ton of bricks” when something goes wrong. When I go out to a premises I can never be sure what’s going to arise. This building used to be a deep freeze store, click here to see inside. (The occupiers have agreed I can discuss the problems arising but we don’t want to reveal their name). Note the lack of windows. They were hardly likely to put windows in when the place was a deep freeze store. One side is attached to the next building. And this building is big – a 35 metre square with four levels. Storage was jammed from floor to ceiling. The more they store, the more income they generate, which is what the business is all about. When the place finally warmed up after years of being frozen, part of the ceiling collapsed. This revealed what’s up there – a layer of expanded polystyrene with two layers of cork above, all designed to provide the insulation necessary to maintain low temperatures. The cork is still in place and there are masses of expanded polystyrene still up there. A fire involving these materials would be ferocious. Bearing in mind that the ceilings have not collapsed in other areas, all these materials are still in place and there is a huge potential for production of heat and smoke in a fire. The ceiling is absolutely the worst place for combustible materials because heat and smoke from a fire rise to ceiling level and spread out, quickly involving any combustibles that are up there. The floors, by the way, are of substantial construction – a stacker truck safely moves around the building. Is there a significant hazard to persons at work? You bet there is! Ignition hazards are very low in this place – let’s be thankful for that – but if ignition occurs and a fire develops it will roll across the ceilings, possibly faster than people can move to the exits. First priority has to be to remove all those combustibles from the ceilings. This is no joke for the person who will be paying a fortune for disposal of these materials, besides working around the unwanted interruptions to business. There’s no getting away from it though, this is a nettle the Fire Risk Assessor has to grasp: this message cannot be softened. A fire occurred in Woolworth’s in Manchester in 1979. Display furnishings caught fire and heat and smoke rolled across the fairly low ceiling so quickly that people nearby couldn’t make it to the exits. The above scenario is worse than the Woolworth’s one because the ceiling linings would contribute additional energy to a fire. The above scenario is also worse because of the lack of windows. There is nowhere for the heat and smoke to ventilate away. Even with removal of all that cork and polystyrene, the fire hazard is still a high one. What can be recommended to mitigate the problems and reduce the hazards? Best answer is a sprinkler system, so any fire is controlled long enough for the Fire Brigade to make it safe. Install windows or some form of extract ventilation. Install a fire detection system. Take all the insulation away from the walls. Do we see any easy or inexpensive answers here? There was a lot more fine detail in the Fire Risk Assessment, but this particular place threw up unique and almost insurmountable problems. It is still a nightmarish thought that if fire occurs in the building as is it, fire-fighters might not be able to gain access. High expansion foam would be considered, but without an exit path for the smoke the foam won’t go in. I would envisage a man with a crane and a demolition ball being brought in to start knocking a few holes in the building – fire-fighting would be that difficult. I was once a fire-fighter, stationed just down the road from this place. Makes you think, doesn’t it? Makes me shudder, actually! In the end, it is our skill, expertise and experience as Fire Risk Assessors that our clients rely on. We find the best cost-effective answers to problems for our clients. 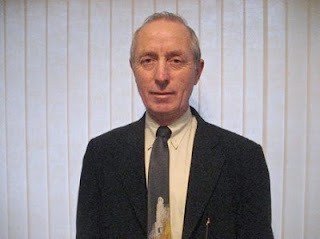 Bill Armstrong is a former Greater Manchester Fire Service Fire Safety Officer and is a Fire Risk Assessor, registered with the Institute of Fire Prevention Officers. He is a Member of the Institute of Fire Prevention Officers and of the Institute of Fire Safety Managers. Visit www.afireman.com and look at “Bill's Blog” for some good old fireman’s yarns. * Regulatory Reform (Fire Safety) Order 2005, if you really need to know. (Articles 8 – 24 specify the duties of the “Responsible Person”).